Located in the northwestern corner of Java is Jakarta, the capital and largest city in Indonesia and the world's tenth largest. Technically, Jakarta is not a city but a province (administered by a governor) with the status as Indonesia's capital. A densely populated city of 10 million, Jakarta is a melting pot of cultures from various regions of Indonesia. More at Guide to Jakarta. Jakarta can be a shock at first sight for any visitor from the developed countries. It is an overwhelming and smoggy city and an example of extreme disparity between the wealthy and the poor. 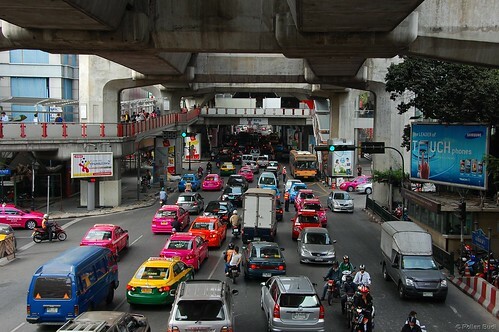 Traffic can be just as overwhelming with its bewildering street layout, confusing signs and gridlock traffic. During the morning and afternoon rush hours, traffic practically crawls as at a snail's pace. 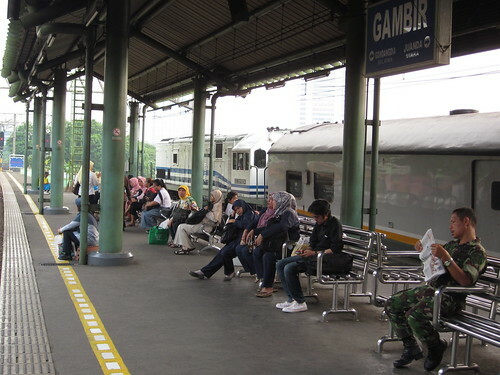 Jakarta has several railway stations connecting with other cities and towns across Java. There are three classes (fares are cheap for the level of service and comfort) and a great way to see a cross-section of Java. 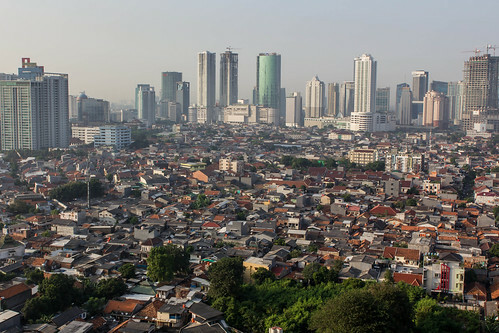 For a city of its size, there is not much to see in Jakarta in terms of tourist sights. 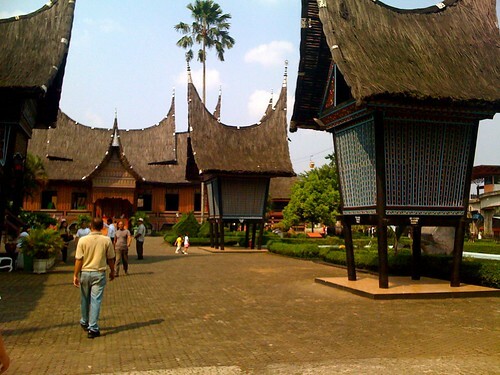 A worthwhile visit is Taman Mini Indonesia Indah with its showcase of cultures from 30 provinces across Indonesia.